Today we’re taking a game from the archives and putting it into our Top Ten Relay Countdowns. 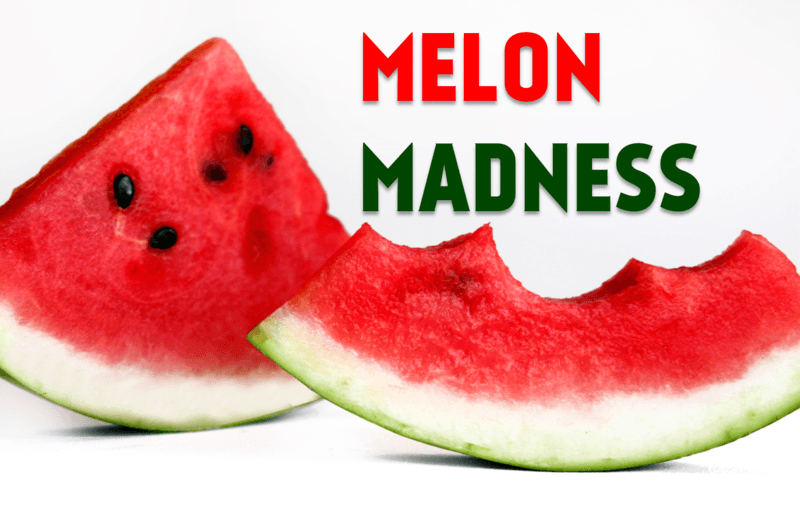 The game, Melon Madness! Melon Madness works best in large groups (i.e. camp or retreat) and is best played on grass if possible. Before you play, you will need to purchase enough watermelons for each team. You can decide how many teams you want, but 20 per team seems to be a perfect number for this game. Once you’ve purchased the watermelons, grab some Vaseline and rub it on those bad boys. Make sure to slather plenty on! After you are done, set the melons in position, line your students up in single file lines, and get ready for some melon magic! The game is played with every student facing forward. The first person in line takes the watermelon and passes it between their legs to the person behind them. The next person then takes the melon (much like a quarterback takes a snap from the center) and lifts it backwards, over their head to the next person. It is really a game of over/under, over/under. This is repeated until the watermelon reaches the end. At this point, the watermelon is then passed back up to the front in like fashion (with everyone continuing to face forward). The first team to return the melon to the front with their team sitting down in single file fashion is the winner! 1. Buy an extra melon or two. Someone is bound to drop their watermelon. You can opt to disqualify them, penalize them or just make them restart with a fresh watermelon if you want. 2. Play this game when the kids know not to wear nice clothes. It is also helpful to play in grass so the kids can wipe their hands off. 3. Have a garbage can nearby for the aftermath. 4. If the game is too short for your group, have them do several passes before finishing. 5. Assign points to a team if you are a part of a camp or retreat. I’ve seen this game played tons of times and it is always hilarious. One last thing, make sure to be wearing something you don’t mind getting dirty, because your kids are going to mug you with their Vaseline hands! Check out our entire list of Top Ten Relay Games.